Luisa Volpato is a Sydney-based interior designer and stylist who is always looking for the next stylish idea and fabulous find. She works on small to large design projects from one-room makeovers to complete home interior design overhauls and renovations. Her design and renovation work has been featured in Home Beautiful magazine and renoaddict.com (see Elizabeth Bay apartment project). Luisa is known for helping her busy clients create beautiful and practical living spaces that are tailored to their needs, lifestyle and budget, which they will enjoy for years to come and are proud to show off. If they are selling a home, Luisa consults clients on what they need to do to prepare and style their home for sale so they get the best possible price, without necessarily having to replace all their furniture with hired furniture. Luisa also writes about interiors, renovation and design for magazines including Renovate, Kitchens & Bathrooms Quarterly, Luxury Kitchen & Bathroom Yearbooks and Latte Magazine. Style & Design provide a full scale interior design service, specialising in new custom builds, kitchens and bathrooms. With many years of experience, i pride myself on collaborating with my clients/builders and suppliers with the intention of creating a timeless and individual design for all my clients. I get no greater pleasure than knowing that a client is in love with their space and they feel good every time they walk into that space. I have an ability to be able to take the ideas in a clients mind and turn them into reality. I take care in developing interesting and practical designs using texture and pattern. 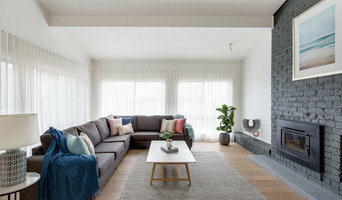 Qualified Interior Designer from Sydney Australia Inspired Spaces is an interior design business that creates spaces that are both functional and aesthetically beautiful. I believe that all spaces need to be designed to meet the needs of the user whether in the work place or the home. We take the idea and image in your head of how your space will look and actually make it happen. All Art & Mirrors specialises in professional art and mirror hanging, transport and installation for art galleries, interior designers, corporate and residential customers. We supply and install industry leading picture hanging systems, and we are dedicated to providing you with the art hanging services you need at work and at home. Elfra Nugent Interior Design, owned and operated by Elfra Nugent with over 20+ years in the industry, specialises in interior design and interior architecture within the retail, commercial and residential sectors. With a wealth of experience, Elfra is able to work with a multitude of clients, establishing trust throughout all stages of the process. She also helps with not only new build layouts but replanning your existing layout and getting CDC or DA approvals for the changes. Patina Interiors is an experienced interior decorating and styling firm based in London. We offer a comprehensive design service to turn your home into a contemporary yet elegant space that reflects your lifestyle and spirit. Specialising in furniture and art, we focus on creating a relaxed casual elegance to suit your lifestyle, leaving a timeless impression that will last a lifetime. 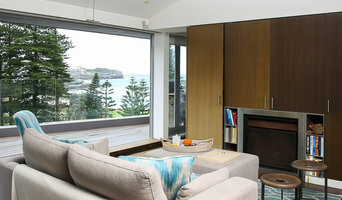 Point 2 Design is an Interior Design studio located in Sydney , AUSTRALIA. We specialise in Residential & Commercial Design. Our services range from a quick freshen up of a Kitchen or Bathroom to a full-scale building project. No matter what level of involvement you require we have a solution to suit your requirements Hiring a professional can save you time and money and stop you from making the common mistakes people make when they are new to renovating or building. Having Point 2 Design on board on your next project will give you the peace of mind throughout what can often be a daunting process. Our personal hands on approach means we work closely with our clients to build on their vision and make it a reality. 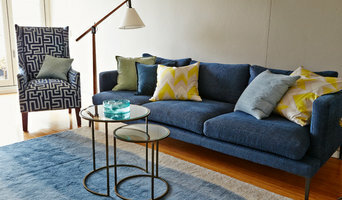 A Designer, Writer and Speaker featured in Belle as one of the "Mood Makers for 2011" and their 2012 "Decoration Issue" Darren Palmer is an established member of the design community. Contributing to Australian GQ magazine, Luxury Home Design and other publications, design projects grace the pages of Belle, Grand Designs Aus. Mag, Design Decoration Annual & Renovate Magazine to name a few. Darren featured on The Block 2011, Guest Judged in 2012 and is a full time judge on "The Block" in 2013. An adept public speaker and event host Darren Palmer launched the new Nespresso U and is the brand ambassador for Carpet Court Australia's (link to: <a rel="nofollow" target="_blank" href="http://www.carpetcourt.com.au/">http://www.carpetcourt.com.au/</a>) new designer direction appearing on TVCs, outdoor and all marketing collateral. He also had the pleasure in 2012 of hosting the media launch of Decoration Design Melbourne (link to: <a rel="nofollow" target="_blank" href="http://www.decorationdesign.com.au">http://www.decorationdesign.com.au</a>) . Darren Palmer Interiors turn out comfortable, beautiful and liveable spaces. H INTERIOR DESIGN is a firm specialising in detailed residential projects and considered furnished interiors. We love working on conceptual design, space planning, and documentation packages including customised joinery designs that suit our client’s needs. We also carefully select finishes, materials, lighting, and furniture. The practice celebrates creativity and its love for all things interiors. Prior to starting H Interior Design, Hellen worked in award winning practices on many Commercial and Residential projects as a Senior Interior Designer and Decorator. Hellen has extensive experience varying from bespoke luxury dwellings to multi-residential projects. A talented and accomplished designer, Hellen is involved in all stages of the project working with clients directly or collaborating with architects from concept to completion. Designer Man Cave specialises in the masculine interior design and decoration of bachelor pads and spaces for men. We take you on a uniquely tailored and exciting journey to find and select new furniture, art and accessories for your home. Our Founder and Head Designer Kate, will personally select the type, size, style and functionality of pieces for you and your space. Designer Man Cave designs and transforms apartments and houses with a signature style of modern minimalism, whilst carefully selecting quality products that gives client's functionality and longevity for years to come. Our clients share a common thread of needs from interior style to communication style. They also share a common brief of "I want to do it once and do it properly". Over the years, Kate has worked with many talented and successful men to transform their home and office spaces. Kate's longstanding passions for hi-end furniture, international and local design for penthouse apartments and luxury spaces allows her to understand and communicate the her interior style vision and create a truly amazing transformation for each client. Kate’s professionalism, combined with interior design skills, experience and a 'quality over quantity' philosophy is encapsulated in the Designer Man Cave brand. Lck is a Sydney and Melbourne based lighting and colour consultancy dedicated to providing light and colour solutions that support the intent of any living space or work environment. Light and colour are instrumental to wellbeing, stimulating our senses and emotions, even enhancing productivity. As humans, we intuitively experience our environment through the suggestive medium of light and colour. At Lick, our design philosophy is simple: we facilitate your vision. We take time to understand your lifestyle or organisation, including personal tastes and space objectives in order to achieve the result you desire. We also enjoy collaborating closely with architects, developers, builders and other commercial clients to support agreed design goals and create the intended effect. A practical, yet inventive feel for colour, light, form and function along with our innovative and sympathetic approach brings us continuing success. Lick makes the difference between nice and WOW! What effect are you looking to create? Sophisticated, outrageously stylish, earthy, off-beat or breathtakingly simple? The choice is yours.